This entry was posted in CD reviews, Deathcore and tagged a cold day in hell, album, angels of debauchery, anthems of the apocalypse, as blood runs black, awesome, badass, black metal, CD, CD reviews, century media, deathcore, decimate the weak, dimmu borgir, jordan munson, legions, Music, one body too many, origins and endings, reloaded, Review, symphonic, the agonist, the impaler, unbreakable, winds of plague, zonaria. Bookmark the permalink. that the person who did this review is an idiot. do you even listen to this kind of music? Thanks for reading my review. Anyway, I do listen to Deathcore. A lot. Suicide Silence, Whitechapel, All Shall Perish, The Red Chord, etc. I did say they were skilled, and also I said they were brutal. What more do you want? Fun music is not always “good” music. So what if there’s a thousand breakdowns you can kick heads into? It could still be the shittiest song ever written. Just like people who like to sing finding a song that’s catch and memorable enough to sing. All in all, the record just was not that good. Too many unfinished ideas and not enough fluidity. who does the artwork for winds of plague? Par Olofsson did the artwork for The Great Stone War. 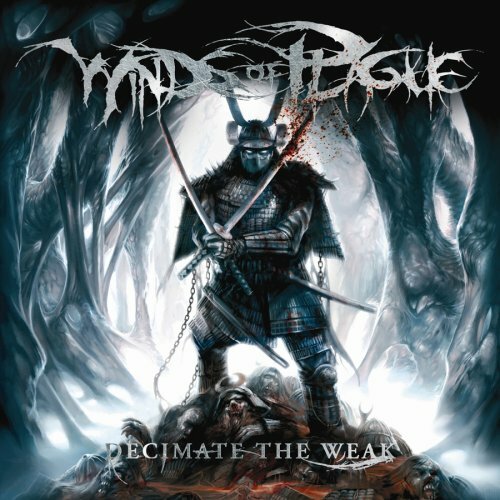 I’m not positive, but I think he may have done the artwork for Decimate the Weak as well.